we have always strived to serve our customers in a professional and reliable way. For over 35 years Pemi Glass & Mirror has been serving the needs of our customers and is dedicated to providing great customer service and products for many more years to come. 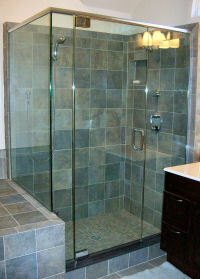 Stop in and see our new full-size shower door display. This new showroom display gives you a wide variety of heavy shower doors, framed units, sliders, and an assortment of glass and hardware styles.